June got off to a cloudy, humid start here in New York. 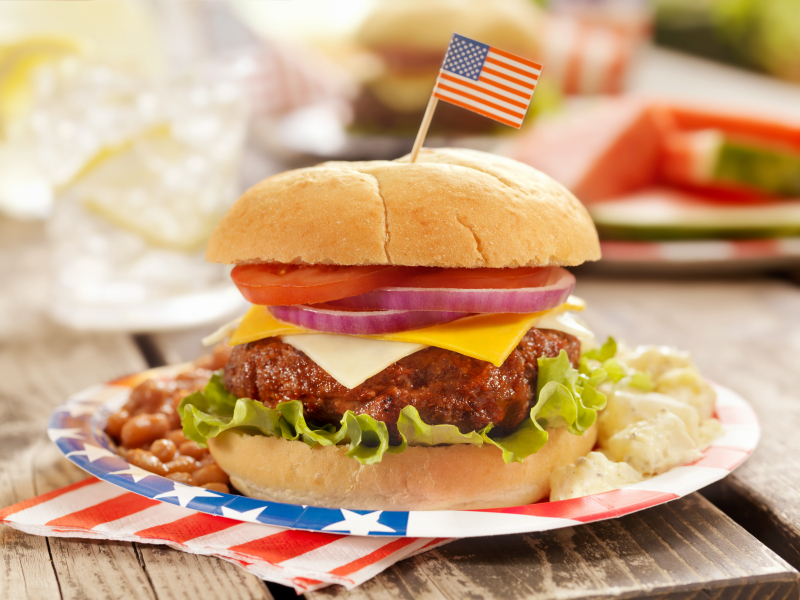 However, after the long, hard winter and with Memorial Day behind us, I have no doubt many people spent some time firing up the grills and getting the gang together. So I thought this Motivation Monday presented the perfect opportunity to offer some timely reminders on how to enjoy BBQ season without completely falling off the health and fitness wagon. 1) Don’t Skimp on the Pre-BBQ Prep: You never want to arrive hungry. That’s a surefire way to dig right into the chips and dips or other high-calorie platters. Have a snack with some protein about an hour before you head to the celebration. My go-to is usually a fat-free Greek yogurt with a handful of almonds or berries or a low-sugar Granny smith apple. 2) Weigh Your Options: If it’s on the menu, grilled shrimp is a great protein choice. Chicken has less calories than a cheeseburger or hot dog. By the way, I’d never tell anyone NOT to have a cheeseburger or hot dog if that’s what you really want. Just fill your paper plate with veggie or salad options first so you don’t have too much room for more than one burger or dog. 3) Be a Kid Again: Popsicles are a lower-calorie dessert option than cookies, cupcakes and other sweet treats. Maybe you even bring a box or two along with some yummy fruit salad or other healthy option for your host or hostess. 4) Lighten Up the Libations: Orange, cranberry and pineapple juice are great mixers, but they’re loaded with sugar and unwanted calories. A better bet is to pick your poison and mix it with seltzer and lots of ice. Then add a couple of slices of fresh oranges, lemons, limes or even some pineapple chunks for flavor. The same goes for soda and energy drinks. Pick the zero-calorie versions when mixing them with alcohol. A At home, I always have a pitcher of Crystal Light in my fridge. When I add vodka, I measure the serving with a shot glass to keep tabs on how just how much alcohol I’m drinking. Finally, whether you’re partying at home or at a friend’s house, throw back water, seltzer or diet soda for every other drink to stay hydrated and keep the calorie intake under control. Of course, if you plan to enjoy some adult beverages, be sure to designate a driver. 5) Fitting in Fitness: Maybe there’s a group exercise class you can take before heading to that weekend BBQ, or you can always take a long walk when you get home from the fun. If you’re heading to the beach, there’s no reason you can’t take a long walk and bang out some planks and push-ups right on your beach blanket. With a little common sense and some self-control, there’s no reason why June (or any other month) can’t be filled with opportunities to kick back with friends and family and still stay on track with your plans to have fun, be fit and feel fabulous.